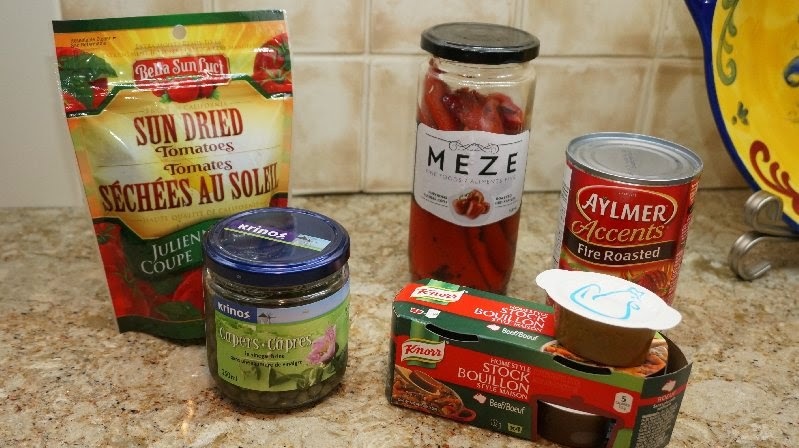 Mennonite Girls Can Cook: Saturday in Bev's Kitchen - New Items from my Pantry. Saturday in Bev's Kitchen - New Items from my Pantry. I find it interesting the way our tastes and food choices evolve and develop as we get older. If I look back over the years I can see how things have changed since I was a child and aware of the food served to me. I think the first "new" thing I remember my mother using was mushrooms. She was the only one that enjoyed them at first but later I grew to like the canned mushrooms. Now I only buy the fresh mushrooms - never the canned ones. It will date me, I know but I remember when the first Pizza restaurant opened up in our city and how excited we were to be able to buy those first make at home Pizza "kits". When my children were young, Chinese food was something I learned to make. Mexican food came even later. 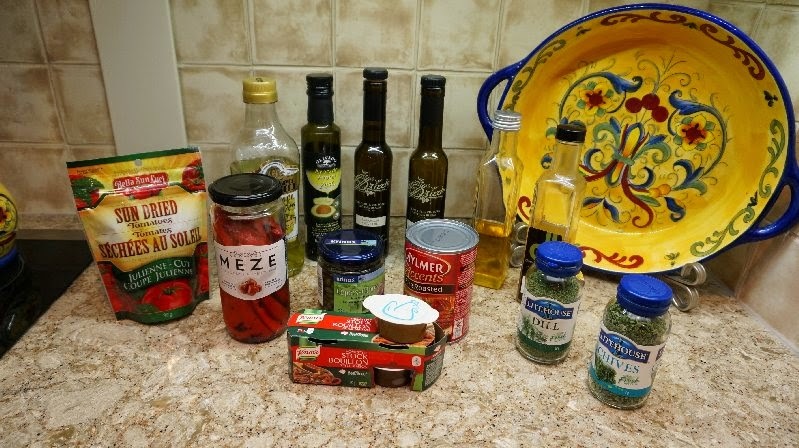 Now we have so many products and such a variety of ingredients available to us. Fresh vegetables and fruits we'd never even heard of way back when are now part of our daily diet. that I now use regularly. Have you noticed the Oil and Vinegar tasting rooms that have sprung up in our larger urban areas? I was introduced to one in the town of Fairhaven WA by my Daughter in Law recently and found an incredible array of oils and vinegars to choose from. Two that have become favourites are the Tarragon and Basil infused olive oils. Lovella's Pomegranate Spinach Salad uses both these oils. My sister introduced me to Avocado Oil with Lemon Zest. It adds a lovely flavour when you drizzle it over Asparagus or use it to dress a salad. I've only recently started using Grapeseed Oil. It is lighter in texture and flavour than Olive oil and is wonderful added to salad dressings. I remember when the only vinegar I knew was white vinegar. Later I was introduced to Cider Vinegar and Malt Vinegar. Now there are a variety of vinegars limited only by our imaginations. In the oil and vinegar tasting room I mentioned, I found so many varieties of balsamic vinegars I had a hard time choosing which one to buy. After tasting a myriad of them, I chose the Grapefruit White Balsamic Vinegar to take home with me. I will be getting more the next time I visit that store. I use it on salads with a little grapeseed oil mixed in, I've made a glaze for halibut and prawns and it's wonderful drizzled on fresh fruit or even ice cream. 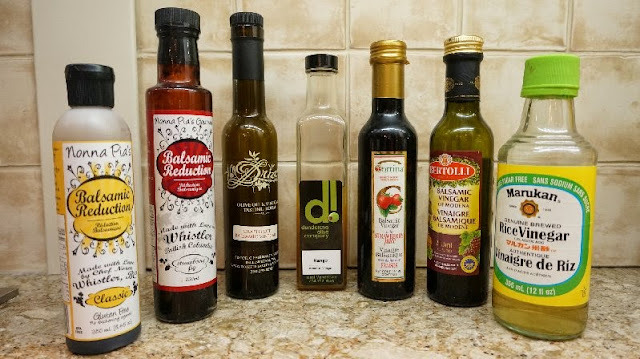 Rice vinegar adds a light tang to Asian dishes and marinades and Balsamic vinegar is good on almost anything - vegetables like green beans and asparagus, salads, watermelon, sharp cheese, marinades, foccacia bread - the list goes on. The Balsamic Reductions or Glazes are a sweeter and more intense option. I add a teaspoon to the pan when sauteing fresh button mushrooms in butter and serve them with grilled steak. It's also amazing as a drizzle over tomato topped bruschetta or just sliced fresh tomatoes. 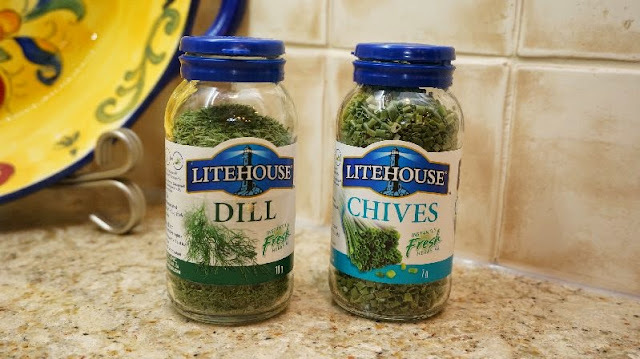 Freeze dried herbs are another addition to my pantry. They can be found in the produce section of your supermarket and are a fine substitution for fresh herbs when you don't have them on hand. without all the oil of the ones packed in a jar. I'll be posting a Mediterranean Salad with a Honey Dijon Dressing soon that uses Capers. The ones I buy are pickled in a brine and add interest to salads, grilled meats and dressings. Finally, I found the tubs of Stock Boullion recently in the soup aisle of my local grocery store. The taste isn't as artificial as some of the boullion cubes and it seems to have much less salt content. Again they are a handy option when making gravies and casseroles. We are so lucky to have such a variety of ingredients available to us. Do you have some favourite items new to your kitchen? Let us know about them. Sometimes that's all it takes to make a new favourite dish. Great suggestions from your growing pantry Bev. It really is interesting how our tastes can change and the abundance of choices we have. You've reminded me of all the foods that are new these days and yes, I too remember when pizza was new to me!!! Even things like broccoli were never grown in our garden so we just never had it. Things like Artichokes and Feta Cheese, etc. were never heard of. I LOVE the infused oils and vinegars and never buy salad dressings anymore - we just drizzle the oils with fresh lemon or vinegar. My favourite balsamic vinegars are Cranberry Pear White and Raspberry. 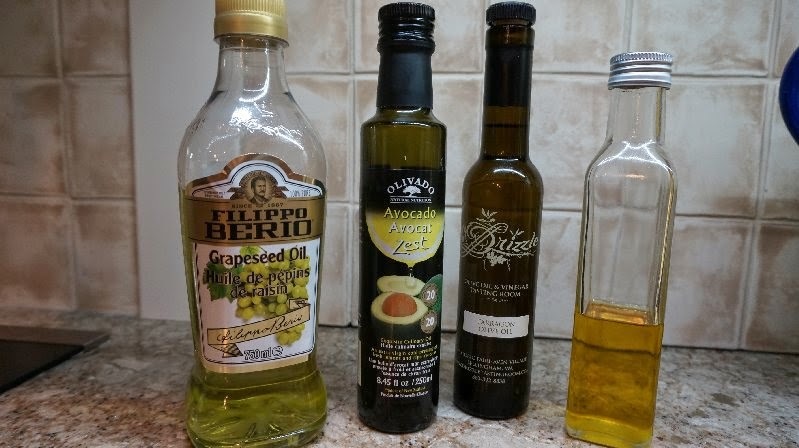 I also use Grapeseed Oil or Coconut Oil for almost everything that usually took vegetable oil. Another newbie in my kitchen of late is raw veggie and fruit smoothies. We are very blessed with our food choices. This was a great post Bev! I have a few oils and vinegars, and one way I use them is in making mayonnaise - every batch is an opportunity to experiment! Thank you for all this information. We are having company for dinner Friday night and your Chicken and Tuscan Beans looks like just the ticket to serve - everything I love in it. Thanks for the recipe! As a child I didn't really care for vegetables all that much. Now as am adult I just can't get enough of them. So true that our tastes changes as we get older. We are blessed to have such a wide variety of foods at our disposal. I will be trying out some the recipes you have posted. Thanks so much! What an interesting post. Love the ideas on the oils and vinegars. Now that we're all trying to eat healthier and use less fatty oils I'm wondering if anyone has a favorite homemade mayo recipe they'd be willing to share?